Each year the Wolf Aviation Fund funds many programs and projects promoting and supporting General Aviation. This year's proposals must be received by November 15. Full information is available at www.wolf-aviation.org. Funding supports aviation education, public service work, airport outreach, and aviation research. Each year the Wolf Aviation Fund provides funding for innovative projects that "promote and support general aviation." Projects must fit into the foundation's seven major program areas, which are Developing Public Policy and Airports; Networking and Mutual Support; Development and Alternative Resources; Communications, Media, and Community Relations; General Aviation Technology, Safety, and Noise; Improving Public Understanding and Perception; and Aviation and Space Education. This year's deadline for proposals is November 15. 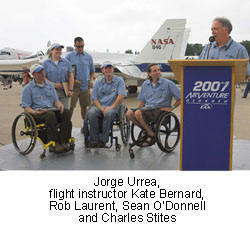 The Fund supported many worthwhile individuals and groups in its 2007 program. For example, a grant to the Recreational Aviation Foundation supported the development and distribution of a guide for the managers of land agencies describing how to preserve, protect, promote, and manage endangered back country airstrips. 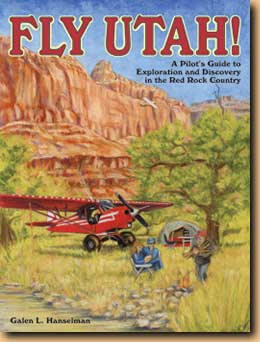 A related grant to Galen Hanselman supported publication of a special aeronautical chart showing Idaho's numerous back country landing strips as a companion to his prior grant project, the Fly Utah pilots guide. Several grants went to support airport events and programs, such as Shared Adventures' Day in the Sky at Watsonville, permitting many children with special needs to experience the joy and wonder of aviation. Another such program promoted such experiences for disabled adults, the Able Flight Cross Country Tour, which met with great success. Riverside County Public Library developed a grant supported program called "Aviation History & Space Career Days" to bring together schools, agencies, airports, and aviation education programs in celebrating the rich aeronautical heritage of this California area. And the Purdue University Aviation Technology Department is developing a program providing innovative tools to inspire and attract a new generation of students to the world of aviation. It would take many pages to describe all the other equally wonderful and worthy projects that earned Wolf Aviation Fund support. Suffice it to say they improved public appreciation of general aviation, enhanced regional and national aviation education programs, celebrated the accomplishments of those volunteer pilots who fly to help others, supported targeted programs in aviation museums, and provided improved websites, conferences, and other communications resources for organizations working in the seven program areas described above. Proposals often received partial support, because so many were excellent and it was believed that by providing partial funding as challenge grants the recipients then could use the honor and recognition of a Wolf Aviation Fund grant to approach others and seek additional funding. This approach has proven quite successful, and we encourage all aviation supporters to look for those who have won Wolf Aviation Fund awards, and to provide them additional support. The Foundation is working to increase the funding available for projects since there were many good ideas that could not be funded due to limited funding. If you or your group would like to learn about and help support some of these projects or to set up your own dedicated grant program please send a note to mail@wolf-aviation.org. Note: if you will be at AOPA EXPO please visit us in the Public Service Area at Booth Number 7.